The Chelsea Junction (22km) run is, (has been), extremely popular with schools, local groups etc, these can be scheduled for a large enough party to run during weekdays, if you would like further details on how to book please contact Peter Burton at the address above. Chelsea Junction, being the branch line for the Limestone trains down to E P Cement, as it used to be, before becoming P.P.C. At 09h.30. unless otherwise stated. Please click on the link below for details on how to order lunch. 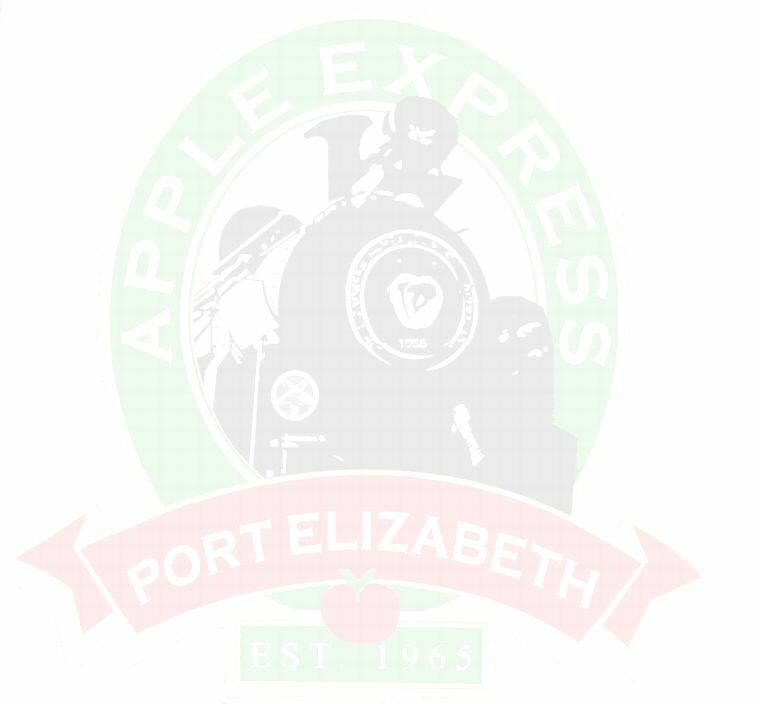 This Narrow Gauge Steam Train is operated by "The Port Elizabeth Apple Express", (Section 21 Company). SPOORNET or METRO RAIL are not the carrier. It is a requirement of Spoornet that should there be any possibility of lineside fires, due to excessive dry and hot weather, steam will NOT be permitted to run and we will have to use a N.G. Diesel locomotive. The P.E.A.E. acknowledges this requirement of Spoornet and reserves the right to make the change, should it be necessary, at the last moment.